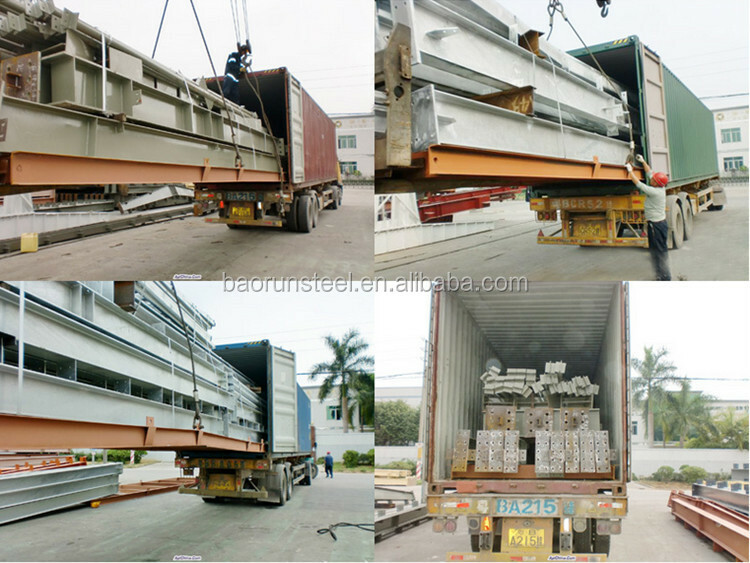 The load bearing parts for steel structure warehouse/workshop are mainly steel structures, including steel columns, steel beams, steel structural basements, bracing systems for wall and roof.The Main Structure are usually made of Q345 Steel while the Purlins and Bracing System are made of Q235 Steel. 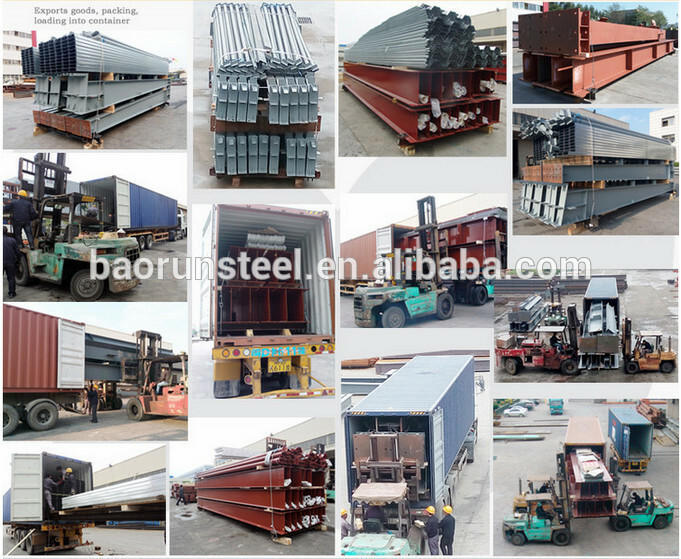 They are the most common steel materials used for steel structure in China. It can save time and can be installed in any weather. 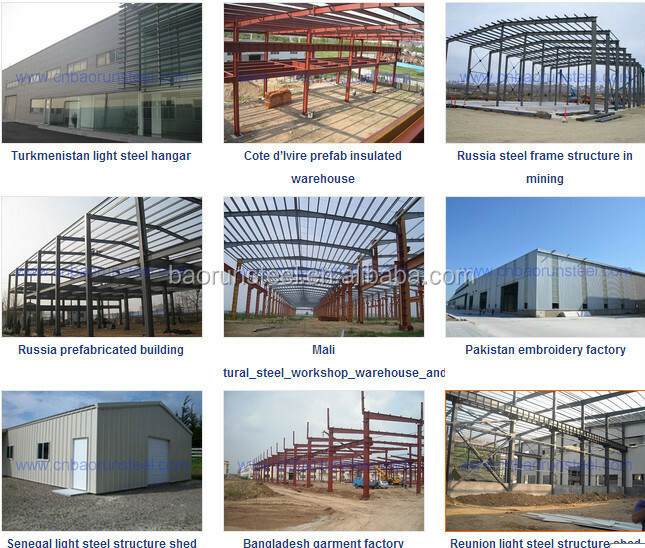 Also the house have advantage of fire-proof, heat/cold-insulation, non-shrinking and enlarge the work size and have little pollutions, we produce and install different kinds of light steel structure buildings which have a good framework. They are safe, easy to install and disassemble, also can be used multiple times without special tools. Special used in warehouse, workshop, temporary office, etc. We have an excellent designing team and we can produce according to the customers' requirements. Wall Panels: Corrugated steel sheet of 0.4, 0.5mm, or EPS / Glasswool / Rockwool sandwich panels of 50mm, 75mm, 100mm.